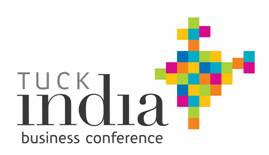 Looking forward to attending the Tuck India Business Conference on May 9, 2008. Keynotes are from Arun Nanda (Mahindra & Mahindra), Ron Sommers (USIBC) and Lutz Goedde (Gates Foundation). It was too funny to pass up. Credit to Michael Baldwin ! This blog was written by Rajit Kamal in the TiE Leadership Program when we invited Desh to speak at the Leadership Program. It was such an insightful evening, I had to reproduce the blog here. 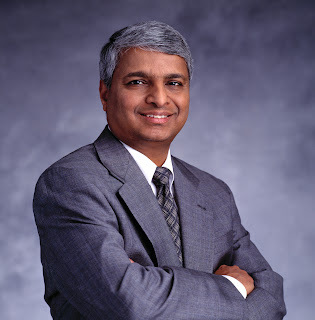 Desh Deshpande needs no introduction. Serial entrepreneur and founder or mentor to many for-profit (Cascade, Sycamore, Tejas, A123, Airvana, Sandstone Capital) and non-profit organizations (Deshpande Foundation, Deshpande Center @ MIT, Akshaya Patra) Desh spent almost 2 hours with the SRA’s yesterday (April 16th, 2008). It was an open session with Desh talking about his life’s journey, his entrepreneurial journey and taking questions from Senior Associates (in the Leadership Program). It was a very inspiring session and we were all fast forwarding our lives by 30 years and imagining ourselves in his shoes!! But his journey was not easy and it won’t be easy for any aspiring entrepreneur (like the SRA’s). However, Desh’s pearls of wisdom would definitely better prepare us to deals with the bumps in the road as we start driving down the highway of entrepreneurship. Keep good company: Remember your mother telling you when you were growing up “make friends with good people”. If you ignored the advice then, it is time to follow it now. Keeping company of good and smart people not only helps you grow as a person but it also opens unexpected doors and creates opportunities. Desh mentioned that a professor whom he met at graduate school offered him a job at Motorola in Toronto. Desh’s experience at Motorola proved to be the foundation for his entrepreneurial journey. Have a good gut feel and go by your gut: Big life decisions like marriage, having children, quitting job to start a company etc. cannot be made by any process as the unknowns overpower the knowns when one is making the decision. It is critical to go by your gut in making these critical decisions. There is no training to “improve your gut feel” but it gets better with experience and also learning from other’s experience. Desh talked about his decision to leave a cushy job at Motorola and plunge into the uncertain world of entrepreneurship. It was not easy as he had a family to support (two kids) but he went by his gut instincts. Have high tolerance for pain: Entrepreneurship is not bed of roses. The success stories we read are few and far between the numerous failure stories. Those who succeed have high tolerance for pain and are focused. Desh talked about ups and downs of his career and the importance of having the guts to take risk and the tolerance to take a hit, which in inevitable in any entrepreneurial journey. Humility to make corrections in the planned course: Entrepreneurs by nature are driven and believe very strongly in their idea and business plan. More often than not, initial plans are wrong. Sometimes one gets stuck in a job or a situation which does not fit the personality or values of the individual. Having the humility to recognize the mistake and correcting it is extremely important for future success and having a fulfilling career. Desh’s first start up (funded by a VC) did not go well, but Desh quickly left the start up and went on to found Cascade systems which was a major success.Enjoying and being passionate about what you are doing: One has to enjoy the journey of entrepreneurship. 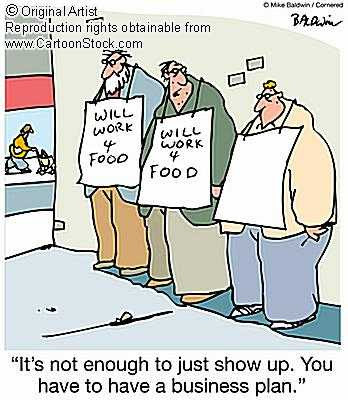 Initial days would be tough as you would be short of cash. “You should never feel that you are sacrificing” as that would mean you are not doing where your heart is. One has to enjoy the ups and downs of the journey. Set deadlines: As an entrepreneur, one should set deadlines and work to achieve them. If you fail then it is the time to step back and change the course. For example, one could say - I will work on this idea and get VC funding within 9 months. If it does not happen then probably the idea is not good enough. It is probably time to look for another opportunity. Value “Hunger” more than “Experience”: Desh said that when hiring people, look for people who have “potential and hunger” than experience. He feels that “hunger” would trump experience any day. People who have done things over and over again get bored and that would impact their productivity. Desh has started many companies and not for profits. In each, he looks for someone young and hungry, who has the potential but needs some mentoring to be successful. “Unshackle” your life: If you are planning entrepreneurship down the road, it is important to lead a very simple life. In America, people sometimes shackle their lives with huge mortgages etc. Maintaining low cost of living would make it easier to jump into entrepreneurship. Good VCs are an insurance policy: If you are starting your first company, try to get funding from the top VC’s. Even if they take higher portion of equity, having big names backing you would prove to be very helpful in the long run. These VCs are like an insurance policy. They will work hard to ensure that you are successful and get an exit. Inner strength is more important than any other trait: When asked what soft skills you look for in an entrepreneur? Desh said “Inner Strength: the ability to take risks, tolerate pain and self –confidence”. Soft skills like presenting and selling are important, but its more important to have this inner strength. Desh observed that there are many successful entrepreneurs who don't dress or present well, sometimes cannot put a coherent sentence together, yet are extremely successful entrepreneurs. The MBA: Desh said an MBA is good training, so if one has the opportunity, one should do it. Desh talked about the success of Brontes, the Deshpande Center company that was sold to 3M. He said that the company used HBS students to explore 34 different markets, before they came to the one that made sense for the company to enter - and it turned out to be a big success. India vs. US: If you are debating between starting a company in India or US, Desh says “India is a great place to be an entrepreneur. There is lot of excitement and activity.” So, those of you who are debating between Boston or San Francisco to start your company might want to add “Bangalore” to the mix! I've been on LinkedIn for years (an early adopter). For my undergrad alumni we created a group that now has 600 people connected through it. However, with over a thousand personal contacts on LinkedIn, and access to an internal alumni network, I've yet to see value in visiting the website. The LinkedIn Dashboard: How come no one has heard of it ? However, I did discover something very useful. How come no one knows the LinkedIn Outlook toolbar. 1. The "Grab" feature allows me to transfer anyone's signature into Outlook Contacts. This is the "killer app" of LinkedIn. 2. The dashboard allows me to get personal email IDs and synch up so I always have updated information after they leave their organizations. 3. The dashboard searches through my Outlook email and offers to create new contacts for recently emailed who are not in my contacts. 4. Any changes to my LinkedIn contacts are available for synching into my Outlook calendar. This is really useful because it allows me to track people who have moved or gotten promoted. LinkedIn is showing signs of age. Here's my proposal to LinkedIn to "upgrade" itself to a post-Facebook world. These will make our lives a little better. Please forward this link to them folks there. The Venture Capital Investment Competition ended this weekend at the University of North Carolina. It is a national event, and (if you’re at MIT) up to 20 teams taking part to represent their colleges at the regionals, and one team from each region advances to the finals. I was fortunate to be a judge at the regional VCIC held at MIT Sloan, which was won by Wharton in a group that faced very stiff competition. Wharton was unique in winning because while there were stronger teams with technical expertise in venture capital, the Wharton team showed uncanny operational expertise. From what I read about the Finals (which I did not have the bandwidth to attend), the Wharton team did well again, thinking outside the box, but was unable to win the competition - but they did get the Entrepreneur's Choice Award. MIT Sloan won for the 2nd year in a row. I did not get a chance to see the MIT Sloan team in action (since they did not take part in the Boston regional so they would not have a home-team advantage). However, the strength of entrepreneurship and venture capital at MIT is clear. The winning team of Bob Meese, Sim Blaustein, Gaetan Bonhomme, Nikhil Garg and Eric Varma. University of Washington and University of North Carolina placed 2nd and 3rd respectively. We should certainly credit to the entrepreneurs, without whom there would be no competition. The entrepreneurs for once are in the drivers seat, though they are still potentially selling to the judges, who are mostly VCs. The VCIC finals had 20 VCs, so it was a great opportunity for the entrepreneurs. Its actually fun to see the VCs selling their firms to the entrepreneurs ! To read more about VCIC click here. The impressive winners of the Business Idea Competition 2008 came from a wide range of sectors. Internet, Lifesciences, Automotive and Energy. However, the themes were common - green with a dash of life sciences. Congratulations to all the entrepreneurs and innovators. This week was Entrepreneurship Week @ Cornell. For the second year in a row, I've judged the Business Plan Competition. I love going to Cornell for this event for three reasons. Firstly, its my alma mater, and the event is full of energy and excitement of Cornellians coming home. Secondly, the judging event is a combination of grilling the entrepreneurs and providing them with a lot of advice at the same it. If you are "mentorable" and your idea is "fundable" we want to see you get a Series A round of financing, and we'll work hard to try and make it happen. Lastly, and most importantly, ideas show up that are potentially venture fundable. So now onto the real reason for this post. I've participated in business plan competitions, not only as a judge, but also as a participant. I've even won a couple. What I've realized in hindsight is that winning a business plan competition only incrementally improves your odds of having a successful business, versus not winning one. You get a check and the money is sometimes substantial. (We won $25K which allowed us to launch the company). However, for the most part, after the competition you're still stuck with the same problem. I call it: "That's-great. Now-what-do-I-do." b) what do I need to do (or more importantly, who do I need to call) to build a company. So to all of you dreaming of the phones ringing off the hook after you win the high profile international business plan competitions, I have one message. Use the day to identify people at the competition who liked your idea and will be willing to spend time with you. Akamai (a company that did not win the MIT50K, although it was a semi-finalist) became a big company. I don't remember who won that year. Go to several business plan competitions to find judges who find what you are doing intriguing, and are able to pass on contacts that will create a big company. Especially go to competitions where angels show up. Or where you have a connection. At Cornell, almost all the judges went to Cornell. There is a shared passion to make things happen long after the check has been cashed, the congratulations have been sent, and the partying has ended. I hope the Big Red Venture Managers at Cornell can create such a culture this year. The entrepreneurs are best served if every competition becomes this way. Then we will accelerate the pace of innovation and make the world a more interesting place. Business plan competitions will become a real way to find the next big ideas. More young people, researchers and innovators will be inspired to dream big. Cornell's efforts over the next year may yet create a model. Time will tell.